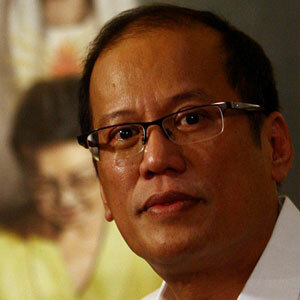 “P-noy is just misunderstood,” is what I can say of him. Forced into the limelight by his parents’ popularity and democratic roles in the society, he is pushed and pressured to follow in his parents’ footsteps and lead the nation up the ladder of success. He is an individual with a bland personality and down-to-earth strata as seen on national television and heard on his press conferences, known as one who never cracks under hard work and smiles with wrong timing. Oftentimes, his speeches are never breathtaking in form but contain so much in promise and hope for a better future. His presidential term has not even reached its peak yet the people he led are expecting him to have done much more and will do more in so little time. But I can say that government projects are currently much more active now compared to the last few years of my existence. Besides, there is a limit to how much one can do in six years.The mistakes of the past cannot be altered entirely in one seating. P-noy’s trust rating are climbing up after the low downfall of last recordings of SWS and individuals are now appreciating his decisions and the changes he made in their lives, yet, they are still not satisfied and want more from P-noy each day. A humble man, he chose to serve his country before his own happiness. Criticism has no effect on his demeanor and he behaves as if hearing them is a good thing. His weird quirks are hard to understand and I never got the hang of his facial expressions and his ultra simple but long and promising speeches but I trust him. I trust him enough to put our country’s welfare into his hands. I trust him, because I believe that with his leadership, our country might get the chance for a shot for prosperity.